->. Naintal is a small town in India full of smiling, friendly people. It lies in the middle of the valley of Uttarakhand, India and is not only safe to travel by yourself but it is a fun place to be. ->. Mysore is the cultural hub of Karnataka, India. It is one of the safest places for a woman to travel alone too because it is a tourist area. ->. Due to the presences of people, hill stations are generally safe to be. 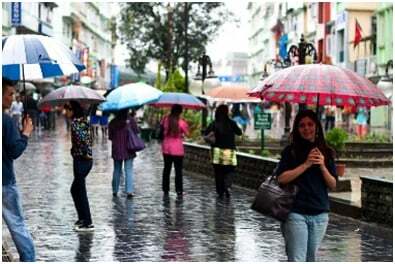 However, the valleys of Shimla are hardly beatable due to its beauty and charm. This too is a safe place for women to travel alone. ->. 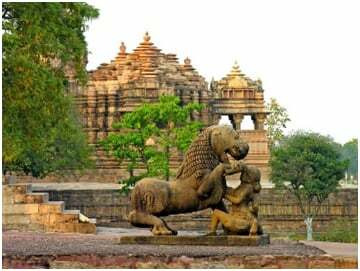 Khajuraho is famous for its world heritage sites. It can be a bit overwhelming at first because you have to know how to negotiate with guides, but it is a safe place to be, and actually it is pretty quiet as well. ->. 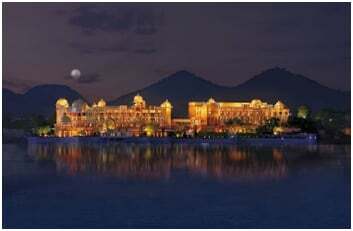 Located in Rajasthan, India, this is a friendly and helpful place. One thing to know before traveling here is that it's a couple's destination so travel alone can be frustrating. ->. If you love wildlife, this is a place to go. It is home to the one-horned rhino and is an excellent way to see wildlife alone. ->. Varanasi is located in the northern region of India and is the religious hub. Varanasi is known as the holy city. Most people here will go out of their way to help a stranger in need. ->. Puducherry has a calm and serene setting in a world of turmoil. This is located in Union territory, so the French like a city is a great escape from reality. ->. Sikkim is a city made of high mountains with low valleys and Buddhist monasteries between them. It is by far the most stunning place a person must travel to. Naintal is a small town in India full of smiling, friendly people. It lies in the middle of the valley of Uttarakhand, India and is not only safe to travel by yourself but it is a fun place to be. 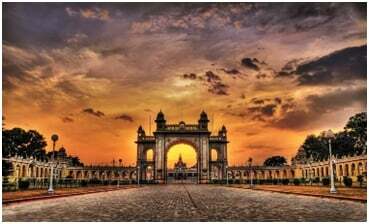 Mysore is the cultural hub of Karnataka, India. 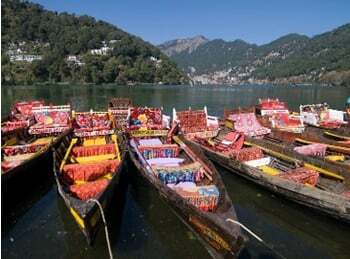 It is one of the safest places in the state for a woman to travel alone too because it is a tourist area. Due to the presences of people, hill stations are generally safe to be. 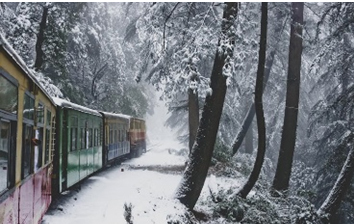 However, the valleys of Shimla are hardly beatable due to its beauty and charm. This too is a safe place for women to travel alone. Khajuraho is known for its world heritage sites. It can be a bit overwhelming at first because you have to know how to negotiate with guides, but it is a safe place to be, and actually it is pretty quiet as well. Located in Rajasthan, India, this is a friendly and helpful place. One thing to know before traveling here is that it is a couple’s destination so traveling alone can be frustrating. If you love wildlife, this is a place to go. 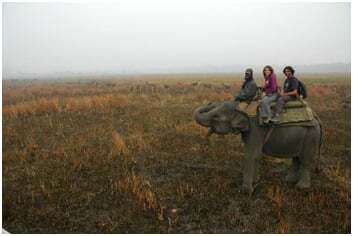 It is home to the one-horned rhino and is an excellent way to see wildlife alone. Varanasi is located in the northern region of India and is the religious hub. 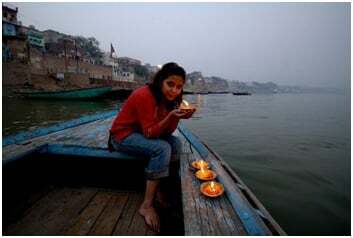 Varanasi is known as the holy city. Most people here will go out of their way to help a stranger in need. Puducherry has a calm and serene setting in a world of turmoil. This is located in Union territory, so the French like a city is a great escape from reality. Sikkim is a city made in the high mountains with low valleys and Buddhist monasteries between them. It is by far the most stunning place a person should travel to. 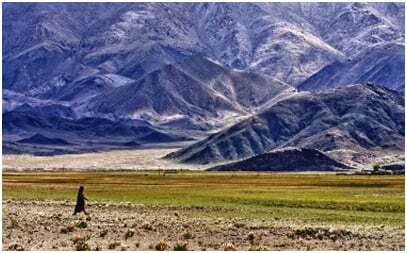 Ladakh will take your breath away by the magic of silence and the calming of the valley. It is safe for women to travel alone but is advised to go with a group so they can give you pointers.